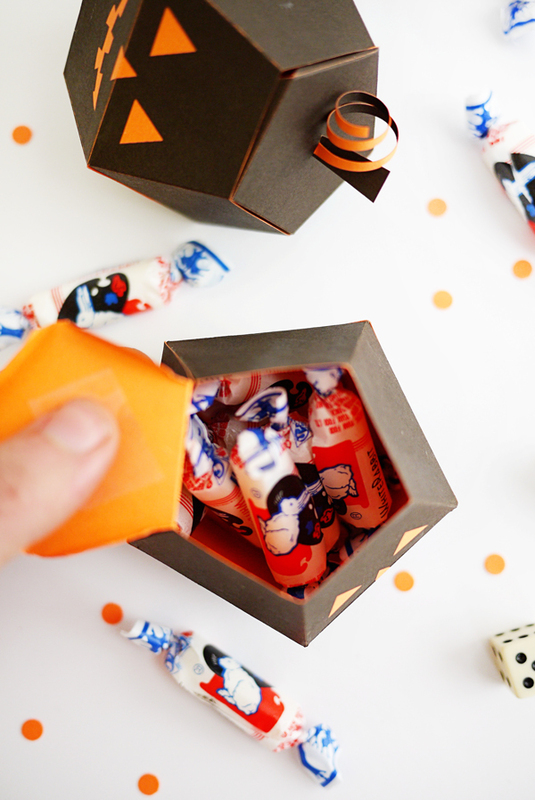 Halloween is just around the corner and one of the best parts of this holiday is the candy packaging! 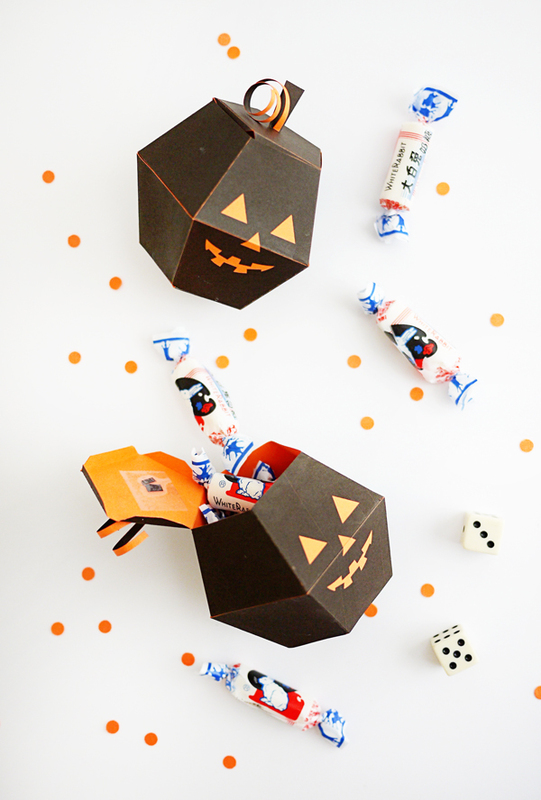 These spooky pumpkin boxes are a great way to give away some treats and save yourself a bit of pumpkin carving before the big night! Materials: Printable Spooky Pumpkin Box Template, 8.5 x 11 neon orange card stock (any other bright color will work), scissors, craft knife, bone folder, ruler or other straight edge, glue, scotch tape, candy. 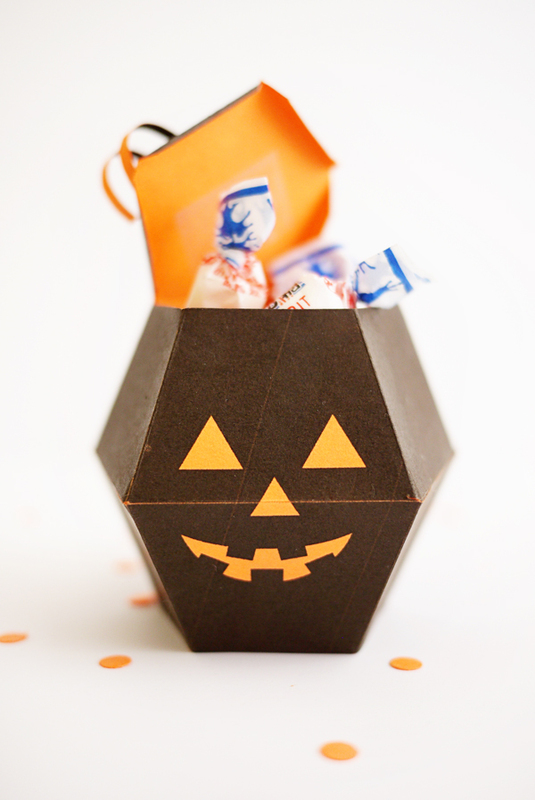 Step 1: Print out the Printable Spooky Pumpkin Box Template on 8.5 x 11 neon card stock. Step 2: Cut out the the pumpkin box template, stem, & vine. Step 3: Using the bone folder, score along all of the lines indicated on the template & fold all scored edges. Step 4: Use the craft knife and cut a small incision on the top flap of the box as indicated. Step 5: Put glue on all of the small flaps and assemble the box as pictured. Let the box dry. Step 6: With the craft knife, poke a small hole in the top of the box so that a toothpick will fit in snuggly. Step 7: Wrap the paper vine around a pencil or pen to give is a spiral look. Step 8. Poke the vine & stem pieces through the incision made previously on the top of the box. Turn the lid over and place a piece of scotch tape down to secure the vine & stem. You may have to re-twirl the stem to get the spiral back. 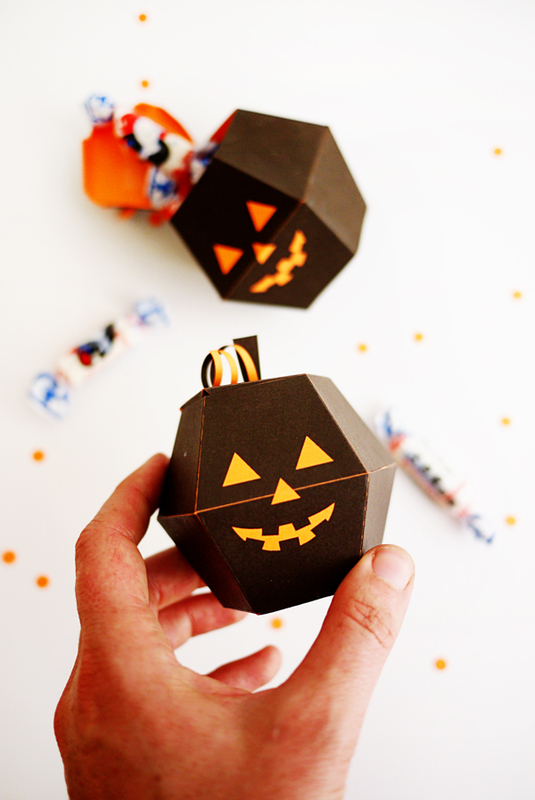 Step 9: Add your favorite candy to the spooky pumpkin box and have a happy Halloween! These boxes are so fun and cute! You did an amazing job! Kristen @ a Modern Mrs.
Oh my goodness… How adorable! 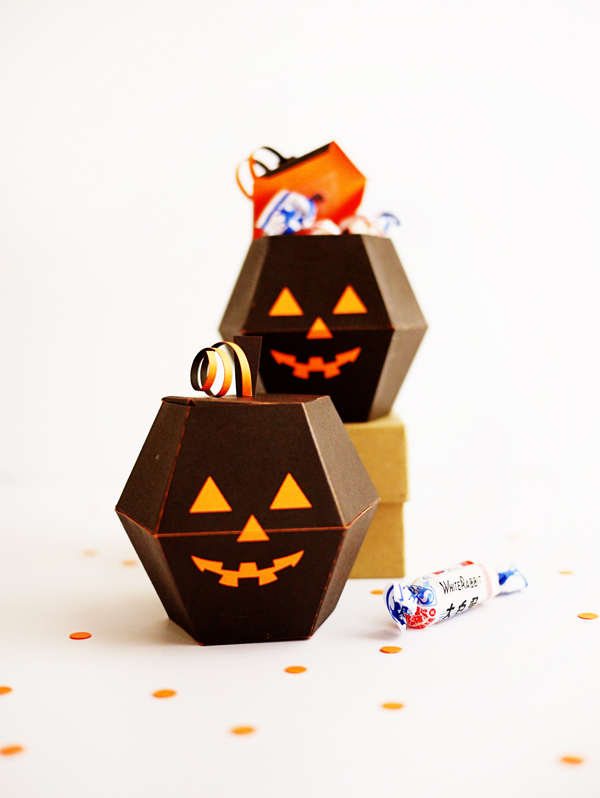 These would be perfect as favors for a Halloween-themed birthday party, or another themed event.